This post was created in partnership with Dannon® Oikos Triple Zero™ Yogurt. All opinions are of course my own! You can look here for more recipes using Oikos, and I really hope you enjoy this recipe as much as I do! Also, I have a special coupon for you below! 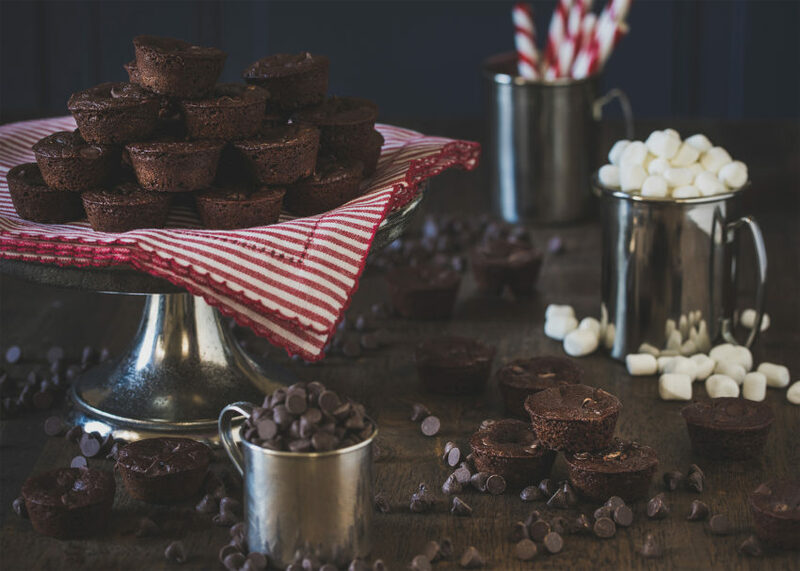 The common denominator between these 3 delicious muffins is: Oikos® Triple Zero Vanilla Greek Yogurt. It has a creamy texture, sweetness from the stevia, and is an excellent source of protein. It can go right into the muffin batter to help keep it moist and replace some of the oil. We tend to keep the large container around to create an easy snack for myself and my kids, so it is a regular staple in our refrigerator. 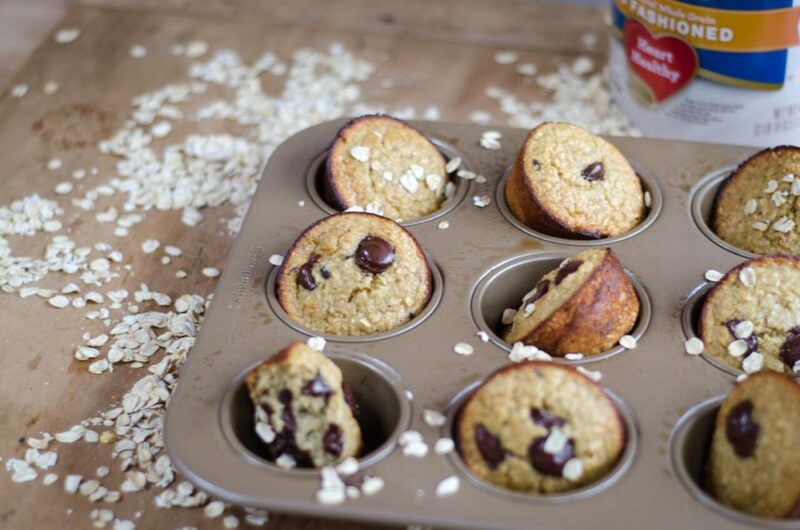 And, we are usually making an oat-based or almond-flour muffin recipe at least once a week! This is my go-to muffin to create in a pinch, because the whole thing can be done in a blender. To change it up a bit of the holidays, I’ll add a dash of cinnamon or a sprinkle of nutmeg. The oats fill you up- and the yogurt provides you with good nutrition! 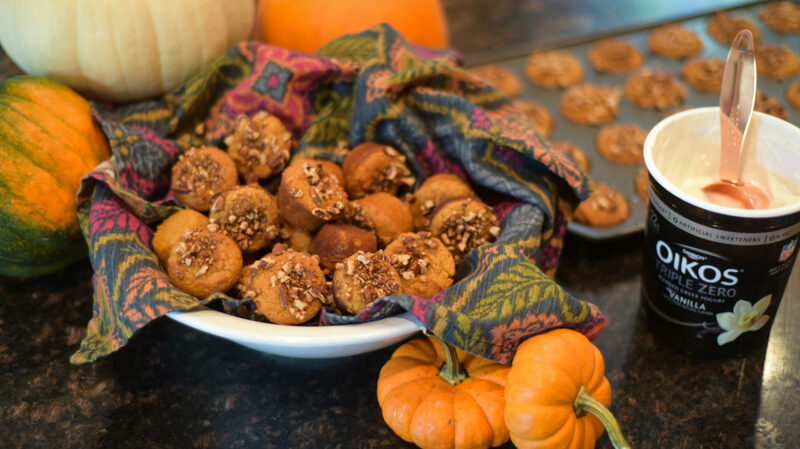 These taste like a little bite of pumpkin pie! (And did you realize National Pumpkin Pie Day isn’t until December 25??? Crazy, huh?) Seriously, I have been getting rave reviews over these goodies! I know that when cooking for the holidays, every little bit helps! 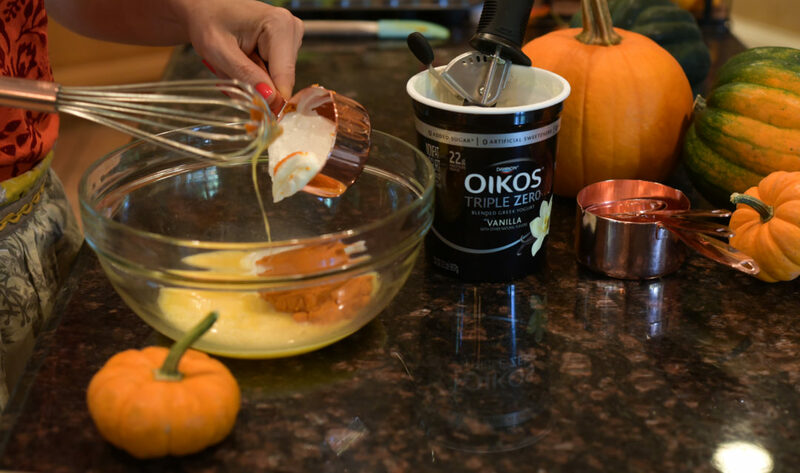 So here is a coupon code for you to try the Oikos® Triple Zero™ Vanilla Greek Yogurt – and let me know what you think about the recipes! I would love to stay in touch with you this season on Pinterest, Facebook and Instagram. Tag me in what you make! Step-by-Step Guide to Making a Frittata Roll-Up!